In areas where wood pellet bulk delivery (via pneumatic truck) is not yet available, use the Leafblower Hack to load your bulk bin with bagged wood pellets for a month or longer of low-cost, renewable, hands-off heating. 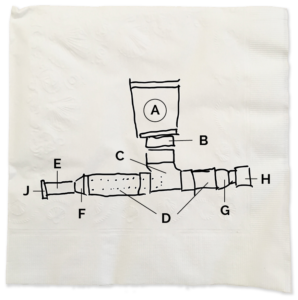 All Leafblower Hack parts are available at your local home store or hardware store except for “J” – the standard, female camlock fitting which is available from any pellet boiler manufacturer. A – 5-gallon bucket. Cut a 5, 1/2 – 6″ hole in the bottom. E – 2″ PVC pipe. 36″ total length including interior section. H – A standard female camlock fitting which is available from your local cooperative or any pellet boiler manufacturer. Start by cutting the hole in the bottom of the bucket and attaching the toilet flange. Then glue together the tee sewer Y, toilet flange (with bucket attached), and the 2 lengths of 4″ PVC. IMPORTANT: make sure the bend of the tee sewer Y points towards the camlock/bin side of the hack! 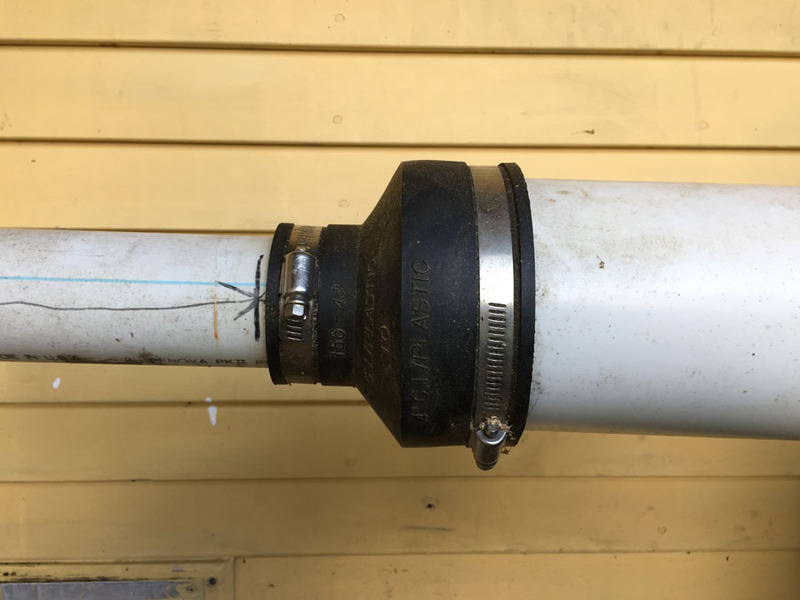 Attach the female* camlock to the 10″ side of the 4″ PVC pipe with the 4×4 Fernco. 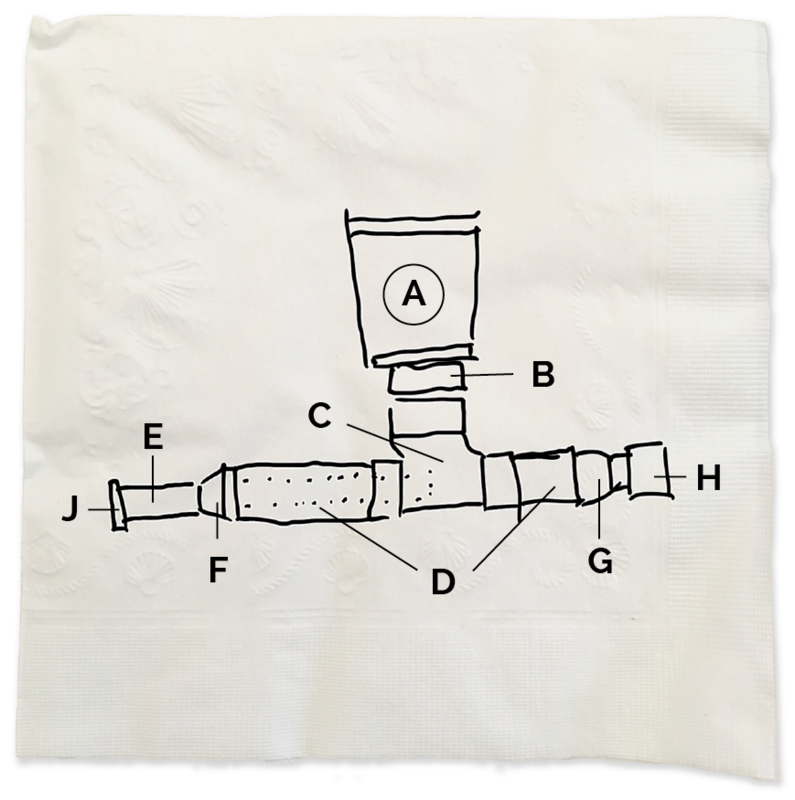 NOTE: This attachment is not an exact science, so you’ll have to mess with it to get it air-tight. 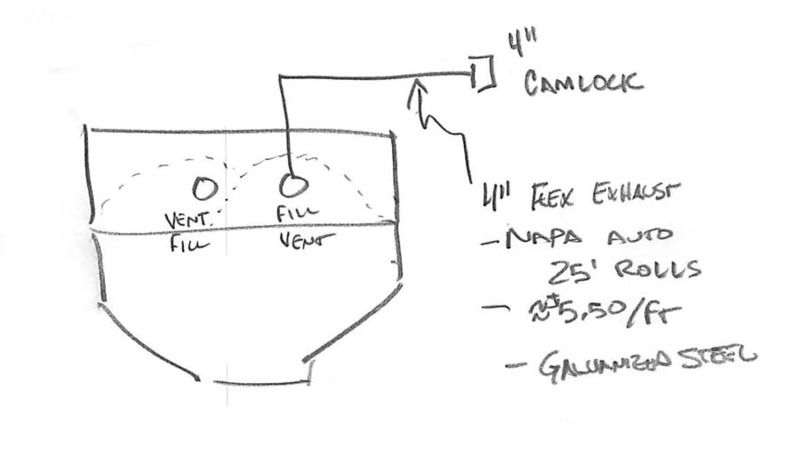 *IMPORTANT: The picture shows a male camlock, that is incorrect. 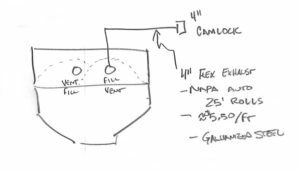 After the hack in the picture was built, the industry standardized around female camlock fittings on the house/bin side of bulk delivery. 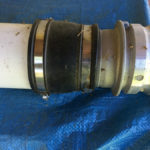 Next, glue the 2″ coupling to the 2″ PVC pipe. 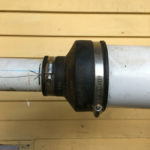 Many (but perhaps not all) leafblowers have a 2″ outlet—you will have to verify this junction based on your leafblower. Finally attach the 2×4″ Fernco to the 4″side of the hack, and then slide the 2″ PVC pipe inside. Congratulations; your hack is complete! 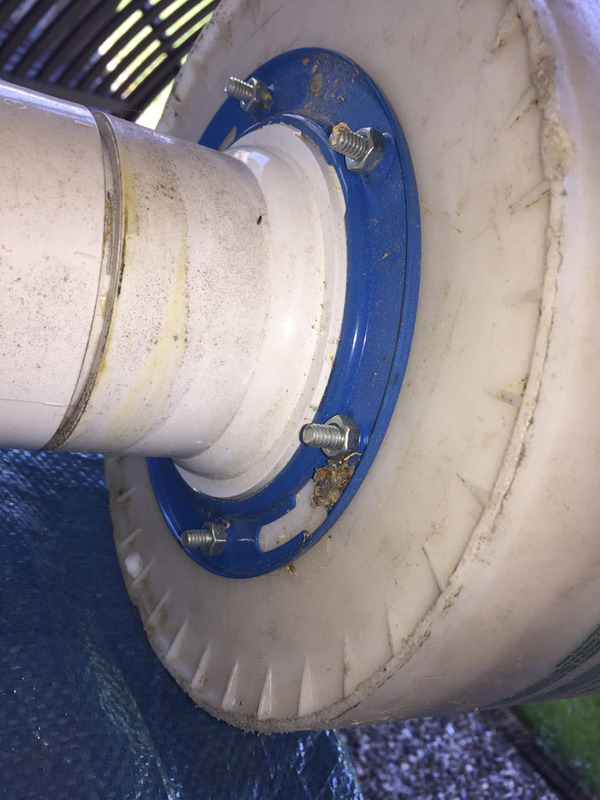 Take another careful look at Figures A and D. The exact placement of the end of the 2″ PVC pipe under the toilet flange is critical (Fig. A) Just a little forward or back of center will determine your rate of pellet movement. One bag per minute is a good rate; your rate will vary depending on this placement along with the power of your leafblower and the length and rise of your run of pipe to the bin. 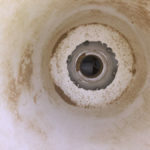 It is a good idea to put some hash-marks on the side of the 2″ pipe where it enters the 2×4 Fernco (Fig. 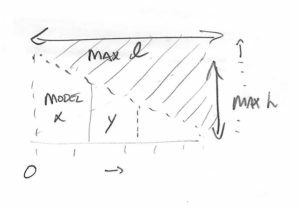 D) These reference points will help you get your bin fillin’ technique down to a science. 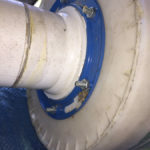 Typically, the energy company that leads your coop will install the piping to the bin, but if you are doing it yourself, you can use 4# galvanized steel flex exhaust available at your auto supply store. It comes in 25′ rolls. It is always easier to blow the pellets horizontally rather than up. The distance from the leafblower hack to the bin will depend on those distances and the power of your leaf blower. Generally speaking, a gas-fired backpack blower will be more powerful than an electric one. The nice thing about the electric leafblower is the absence of 2-cyle engine exhaust. 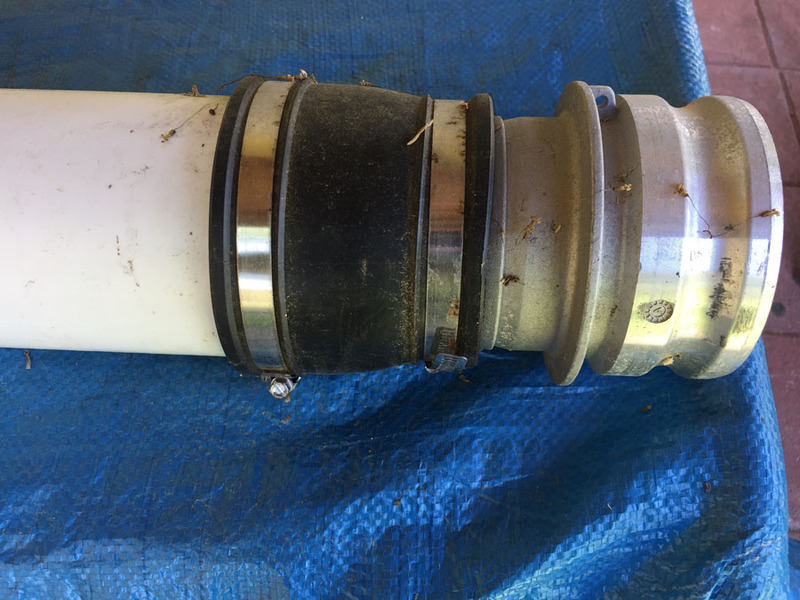 When using any leafblower, be careful not to block the air intake—that will degrade the power. IMPORTANT NOTE: All piping to the bin must be grounded for static charge dissipation. Please familiarize yourself with the full report on wood pellet transport and delivery safety procedures and protocols. Wood pellet storage bins must be vented in order to release pressure during bin fill operations. Your bin will have both a 4″ fill hole and a 4″ vent hole. 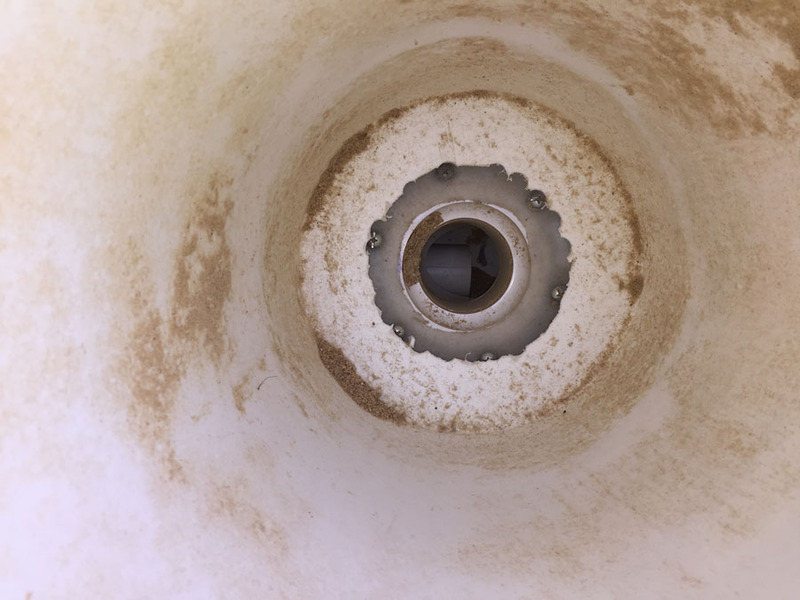 When filling with the leafblower hack, it is helpful to be able to alternate both holes because of the way the material stacks inside the bin; when one side mounds up, you can use the other side to fit more pellets. Keep in mind that wood dust and fines are kicked up during bin fill operations, so you’ll want to make sure to vent outside. Some indoor fabric bins act as one big vent and filter so you don’t need a separate vent hole and piping; just make sure to open a window or a bulkhead door to release pressure from your basement as the pellets are blown in. These bins keep dust and fines inside the bin nicely where they can be burned in the pellet furnace or boiler along with the intact pellets.